The son of the boxer who killed Adonis Creed's father challenges him for his heavyweight belt. For over 40 years now, in his various guises as actor, writer, producer and occasionally director, Sylvester Stallone has shepherded the Rocky franchise through multiple cultural eras, and the films in the series reflect the climate of Hollywood at the time of their production. 1976's Rocky was a quintessential 'New Hollywood' film, a low key drama focussed on its characters. '79's Rocky II was slightly less grounded, yet still relatively subdued compared to the '80s entries, Rocky III and Rocky IV, which reflected the empty excess of that decade. In the '90s, the franchise returned somewhat to its roots with the under-rated Rocky V, before making a surprise return in 2006 with Rocky Balboa, which overcame its ludicrous premise of a sexagenarian Italian Stallion returning to the ring and proved a compelling late expansion of the series. Rocky Balboa seemed to mark the end of the enduring franchise, but in 2015, with Hollywood reviving every property it could get its mitts on, the series was rebooted with Creed, which saw the gloves passed to Michael B. Jordan's Adonis Creed, son of Carl Weathers' Apollo Creed, with Rocky himself moving into the role previously occupied by Burgess Meredith's Mickey, a grizzled trainer dispensing working class wisdom to the young pretender. The movie charmed audiences and critics alike, and the Rocky franchise was back on its feet. A followup movie was inevitable, but when it was announced that Creed II would see the return of Dolph Lundgren's Ivan Drago - the sociopathic Russian boxer who killed Apollo Creed in Rocky IV before being defeated on his home turf by Rocky - a collective groan issued from fans of the franchise. While some may view Rocky IV through a forgiving nostalgic lens, it's by far the stinker of the series, a movie that's almost 90% montage, like watching '80s MTV for two hours, and it's a cheesy, cringeworthy relic of its time. Would Creed II ruin all the good work of its predecessor with a brain dead followup? 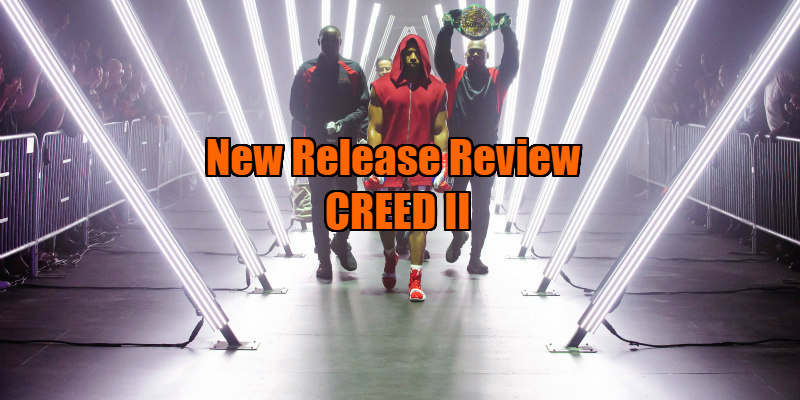 I'm delighted to say my fears were unfounded, as Creed II is a worthy continuation of what might be Hollywood's greatest franchise. This eighth film finds all well in Philadelphia. Adonis has just become the heavyweight champion of the world. His girlfriend, Bianca (Tessa Thompson), has accepted his marriage proposal and her music career is taking off. And Rocky seems to have found an inner peace, though he still can't persuade the council to put a new bulb in the streetlight outside his house. Meanwhile in the Ukraine, Ivan Drago has spent the last few decades exiled from his native Russia, cast out after his loss to Rocky. Desperate for acceptance from Mother Russia, Ivan sees a new hope in his son, Viktor (Romanian boxer Florian Munteanu), who has been destroying opponents on the local boxing scene. When an American promoter takes the Dragos under his wing, the stage is set for a dramatic face-off between Adonis and the son of the man who killed his father. Creed II's greatest victory is in taking Ivan Drago, a cartoon character from one of cinema's most brainless blockbusters, and transforming him into a sympathetic and human figure without sacrificing any of the character's menace. Credit must go to Lundgren for a performance that subtly sees his ice cold facade gradually melt over the course of the drama, but also to director Steven Caple Jr, who knows just how to use the muscular star's limited talents to best effect. He makes equally great use of Stallone, playing on our familiarity with the actor's signature role and exploiting the star's ability to convey more emotion with a drop of his shoulders, a twitch of an eye or a twist of the hat he awkwardly carries in his hands than most actors might with six page monologues. In his acting debut, Munteanu also does some quietly impressive work, and the look on his face during a moment involving a vacated seat draws so much sympathy for his character that you may find your allegiances torn in the climactic bout. If there's a weak link among the characters here it's ironically Creed himself. 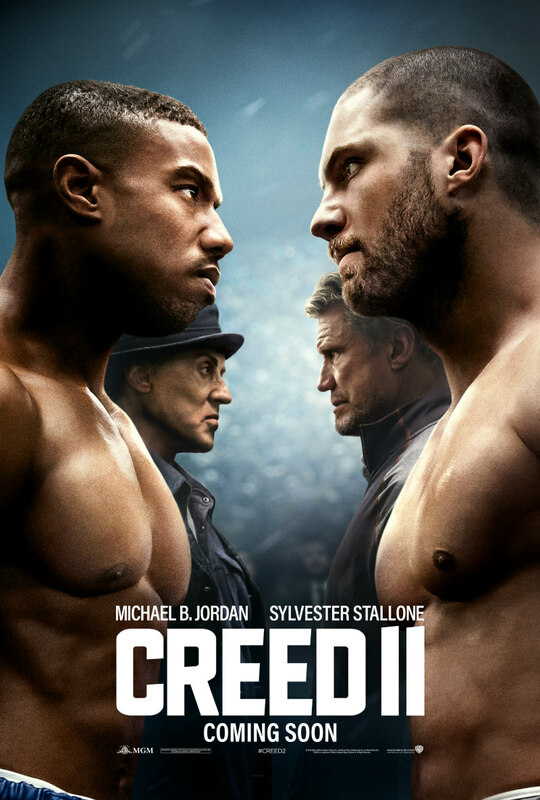 Jordan is just as likeable as in the first movie, but this sequel tends to play out around his circumference, with the subplots involving the Dragos, Bianca and Rocky more compelling than the central narrative of Creed once again battling to preserve his father's legacy. Switching focus to the travails of the Drago clan might be the best direction for the series to go in the next instalment (Brigitte Nielsen returns here as Ivan's ex-wife and Viktor's estranged mother, setting up another potentially fascinating future story of parental acceptance). Creed II is essentially a father/son story, and as such it's packed with tearjerking moments that will have grown men reaching for their hankies. The final fight has so much riding on it emotionally, both in and out of the ring, that it really puts you through the ringer, yet somewhat subversively, the film doesn't simply set up an easy hero/villain dynamic, as both Adonis and Viktor are fighting for the same reason, the pride of the names they inherited from their fathers. Creed II is in UK/ROI cinemas November 30th.